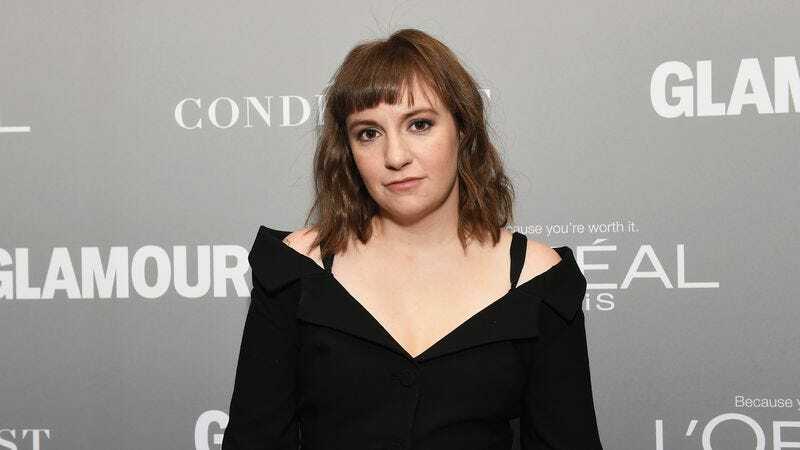 Lena Dunham responded to the outcry over her recent comment about abortion by further smudging the lines between her actual human self and Hannah Horvath, the character she plays on her television show. The latest round of controversy generated by the star stemmed from an episode of her podcast on which she said: “Now I can say that I still haven’t had an abortion, but I wish I had.” The casually insensitive line made light of what is for many a challenging decision regardless of how passionately a person believes in a women’s right to choose. In a lengthy Instagram post, Dunham apologized. “I truly hope a distasteful joke on my part won’t diminish the amazing work of all the women who participated,” she said. More curiously, however, she blamed the statement on a persona she adopts. “My words were spoken from a sort of ‘delusional girl’ persona I often inhabit, a girl who careens between wisdom and ignorance (that’s what my TV show is too) and it didn’t translate,” she explained. “That’s my fault. I would never, ever intentionally trivialize the emotional and physical challenges of terminating a pregnancy. My only goal is to increase awareness and decrease stigma.” So essentially she’s arguing that it wasn’t Lena Dunham saying those words but Lena Dunham as Girls’ frequently clueless and inappropriate Hannah. Still, it didn’t play. For what it’s worth, Dunham also noted in her apology that she made a “sizable” donation to The National Network Of Abortion Funds.